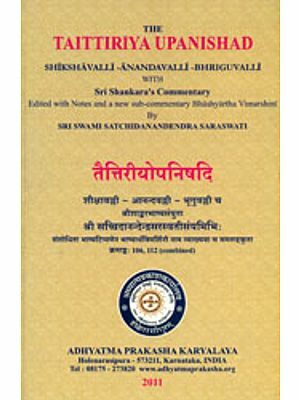 The present edition of Sri Shankaracharya’s Upanishad Bhashyas, is intended for readers who wish to have at a moderate price the plain text of Shankara’s works unencumbered by commentaries and sub-commentaries but provided with such aids to study as a beginner is likely to need in appreciating the original. 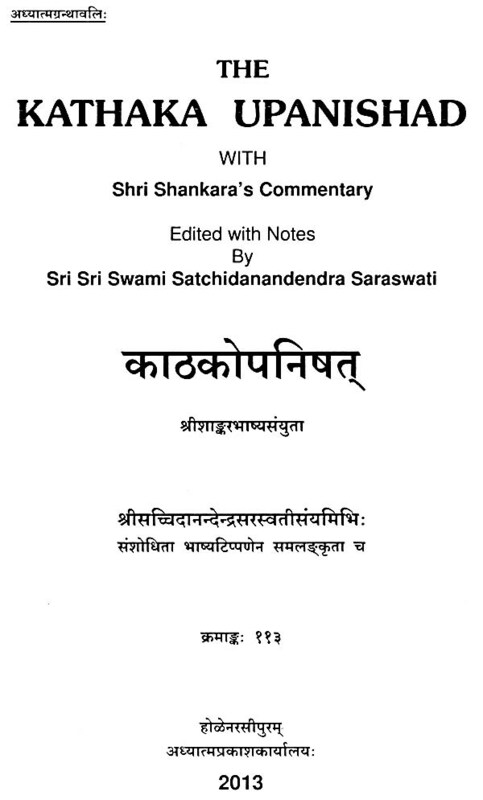 Every volume of the series has been provided with an Introduction, Short Notes on points of special interest, References to paralled passages in the other works of the great Acharya, a Summary of the Upanishad, and an Index. It is hoped that the systematic division of the text into paragraphs with indication of important various readings, the tracing of quotations to their originals, and the close attention paid to typographical details will all combine to make this edition specially convenient for the earnest reader. The Katha Upanishad has to be inferred as belonging to the Kathaka recension of the Krishna Yajurveda, merely on the strength of the title it bears. For we do not find any followers of that branch, who are actually reciting it nowadays. 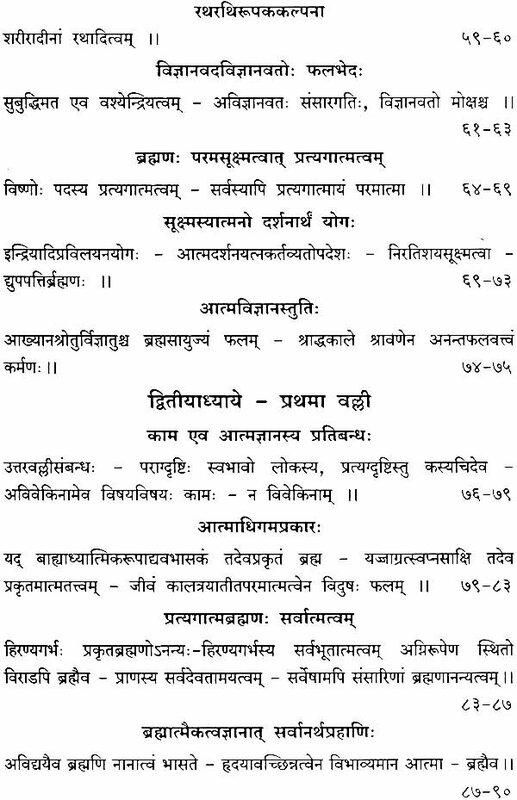 The relation of the Upanishad to the other portions of that recension of the Veda has not been indicated by any commentator on the Upanishad. Shankara, in particular, affords not clue whatever either in his Introduction or in the body of his Bhashya, which may lead one to determine the place of the Upanishad. 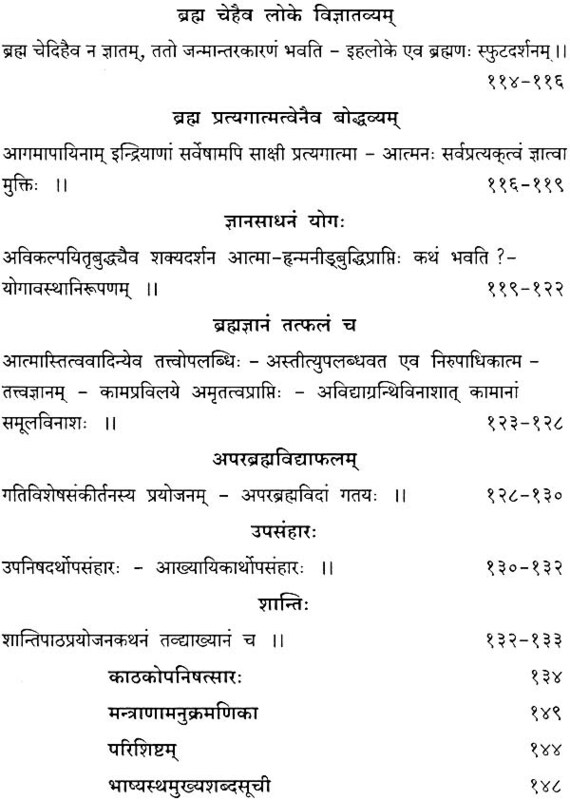 The incomplete nature of the Published portion of the Kathaka portion, adds to our difficulty, for while the Samhita of the recension has been printed both in Germany and in our own country, its Brahmana portion has not yet been accessible to scholars. 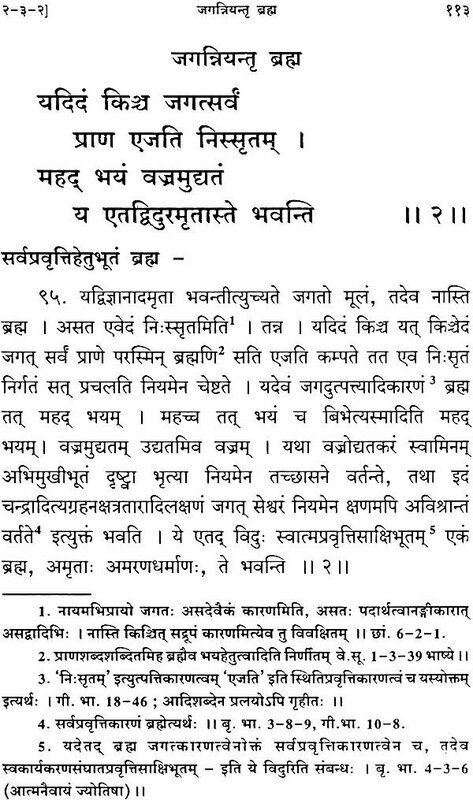 It is a source of some solace, therefore, to find that a portion of the Upanishad, the dialogue between Yama and Nachiketas, has its counter-part in the Taittiriya Brahmana, and a sort of redaction in the Maha-Bharata. The story as found in the latter has been given in detail in the Sanskrit Introduction. It will be seen that the narrative there, has little or nothing in common with the Upanishad. The incident of Nachiketas being cursed by his wrathful father to see Yama, is not in connection with a sacrifice. Yama sends him back to life after showing him the various heavenly worlds which righteous men attain, especially the Loka which the gift of cows ensures. The version in the Taittiriya (Brahmana) bears more points of resemblance. The third boon granted by Yama, however, the knowledge of the Highest Brahman transcending the sphere of all religious works, is conspicuous by its absence there. 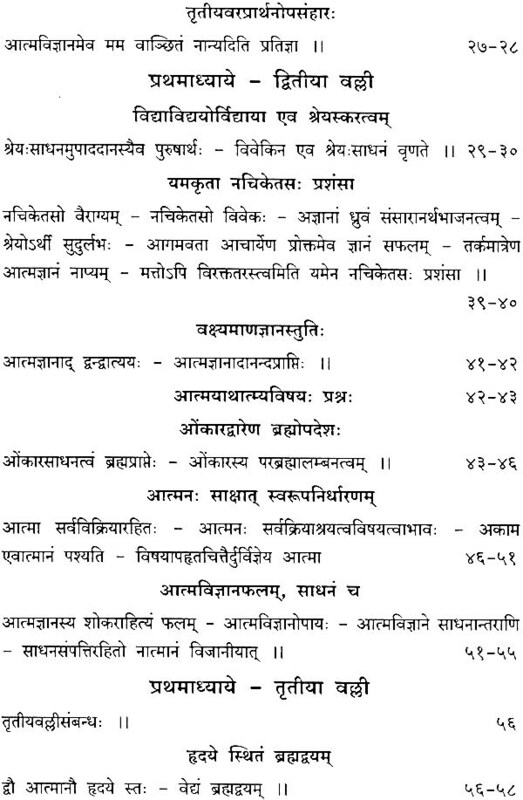 The relevant portion with Sayana’s Bhashya, has been appended to the present edition of the Upanishad for the convenience of the reader. What has become of the Kathaka Brahmana, is yet wrapped up in mystery. 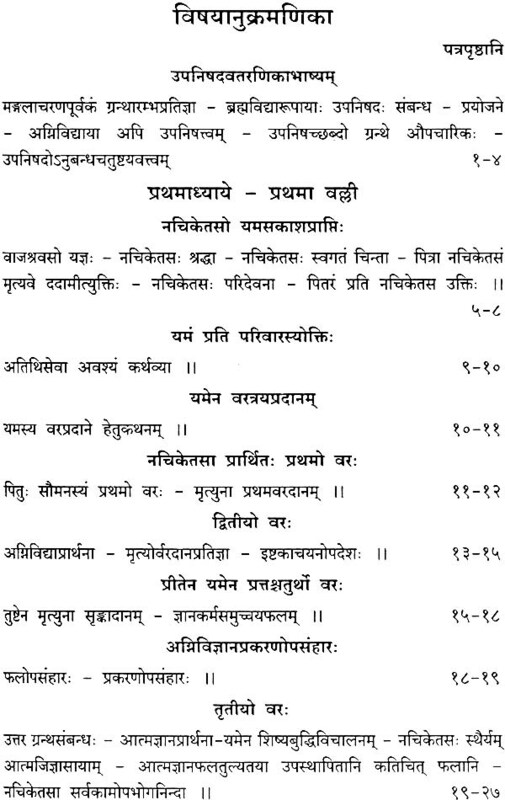 Patanjali, in his great commentary on Panini (4-3-101), remarks that ‘The Kathaka and the Kalapaka are being recited in every village.’ And yet the Brahmana of that widely studied Veda, has been fated to be thrown into the limbo of oblivion! 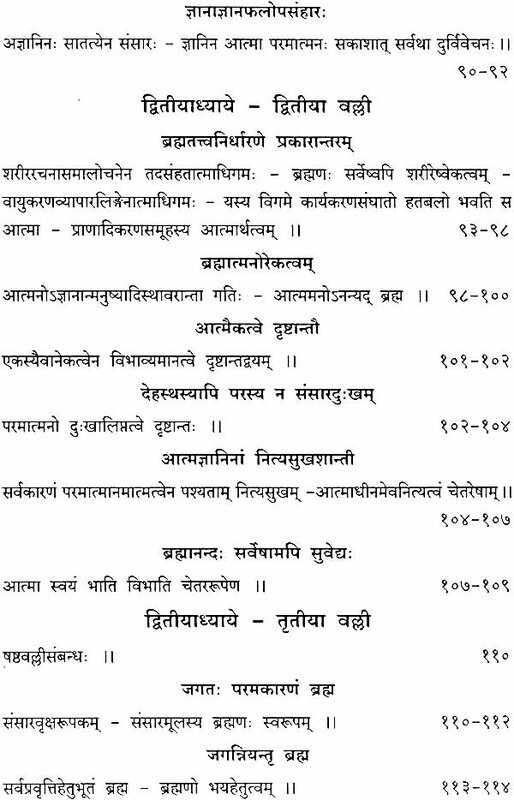 A portion of the Taittiriya Brahmana, the third Ashtaka, contains a portion from the tenth Prashna onwards which the present day traditional reciters style ‘the Kathaka’. It is note-worthy that the first two Ashtakas of the Brahmana contain only eight Prashnas, whereas the third alone comprises twelve, thus rendering its title Ashtaka (octad) a misnomer. Can it be, that, as the Kathaka fell into more and more disuse, the followers of the Taittiriya appropriated this portion of it, out of affection for a version of their own Shakha? 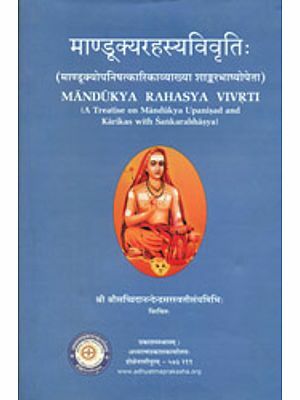 In his Introduction to the Bhashya, Shankara calls both the Agnividya (knowledge of Virat or Lower Brahman) and the knowledge of Brahman transcending all religious works, by the name of ‘Upanishad’ It is obvious, however, by his introductory observations on the twentieth mantra of the first Valli, that he regards the knowledge of the Higher Brahman as pre-eminently ‘The Upanishad’. 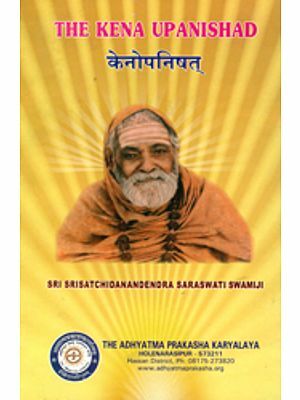 ‘The innate ignorance of the nature of super-imposition of the notions of action, instruments of action, and the fruits of action’, he says, ‘has got to be destroyed by the knowledge of the identity of Brahman and Atman to be treated of in the sequel’ (23).